Abraham is a Wealth Advisor with UBS Financial Services and has been in the financial service industry since 1993. He earned his Certified Financial Planner designation in 2000, and currently focuses his practice on the growth and preservation of wealth for successful families, executives and private foundations. Abraham earned his Juris Doctorate degree from the University of Nebraska College of Law and was an attorney prior to moving to Florida in 1987. He currently serves on the Pension Board for the Town of Surfside, and is a non attorney member of the Unlicensed Practice of Law committee for the Florida Bar Association. Abraham’s dedication to the arts stems from his early childhood exposure to music and the visual arts. He believes that art provides unmatched opportunities to develop skills of all children that are critical for their success. Whether it is through encouraging creativity and risk taking, learning the art of expression, or simply developing the connections for cognitive skills, he believes that art can be the essential catalyst for successful learning. He is grateful to be a part of Arts for Learning and its commitment to ensuring that children of all backgrounds have the same opportunities to succeed while at the same time enriching our community of South Florida. 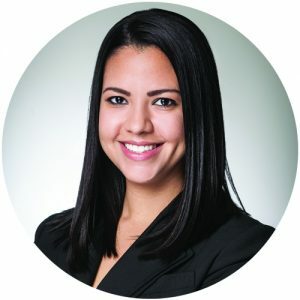 Brooke Elliott is an attorney in Holland & Knight’s Miami office and a member of the firm’s Private Wealth Services Group. Ms. Elliott has experience with tax controversies, as well as domestic and international estate and tax planning. With respect to international planning, Ms. Elliott provides tax advice to international clients planning to invest in the United States and to domestic clients investing internationally. She also advises clients on international tax compliance and has experience guiding clients through Internal Revenue Service (IRS) examinations and audits. 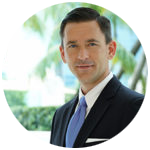 Chris Harrison CIA, CMA, is the Chief Audit Executive at Assurant, Inc., a specialty insurance company and a member of the Fortune 500. In this leadership role, Chris is responsible for ensuring that all of Assurant’s worldwide internal auditing activity provides the Board of Directors and management with independent, objective assurance and consulting advice designed to improve the effectiveness of Assurant’s operations. Chris has been with Assurant for 27 years beginning in 1988 when he joined American Bankers Insurance Group in Miami as a financial analyst. Since then he has held positions in several different areas including Finance, IT, HR and now Audit. In 2006 he was named SVP of Human Resources for Assurant Specialty Property, one of the four divisions of Assurant, Inc. where he was recognized for his leadership and contribution to the successful integration of a significant acquisition. In 2008 he assumed his current role. Here again, he has been recognized for successfully transforming the Risk and Advisory Services Department into a highly effective internal audit function which repeatedly provides value to the Board of Directors and management. He is now on a mission to ensure that the department continues to develop on its journey to being a world class internal audit function. Chris received a Bachelor of Commerce (Accounting) from the University of Windsor, in Ontario, Canada and a Masters in Business Administration from the University of Florida. He is a Certified Internal Auditor (CIA) and a Certified Management Accountant (CMA). 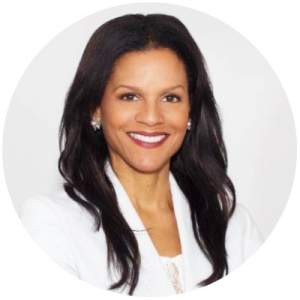 Fluent in five languages, Ms. Ashley brings a wealth of knowledge and experience from her extensive banking career which has included positions with Bank Trust, American Express, Espirito Santo, and Bank of America. She completed her undergraduate studies at Jackson College of Tuft University and graduate studies at Columbia University. In addition to serving on Arts for Learning’s Board of Directors, she has served as a board member of the Jackson Memorial Foundation and the Carnival Center for the Performing Arts. Founder and Managing Partner of her own law firm, CORPlaw, Kristen A. Corpion, Esq. advises growing and mature businesses on a wide range of legal issues. Kristen is actively involved in the Miami community. She is an Adjunct Professor at FIU and dedicates time to a multitude of community organizations: she serves as a Director of the Dade County Bar Association, Young Lawyers Section; Co-Chairs Dade Legal Aid’s Venture Law Project Advisory Board; Chairs Legal Services of Greater Miami’s Legal Eagle Closing Argument Competition; and has been appointed by the Florida Bar to serve on the Florida Bar’s Professional Ethics Committee. 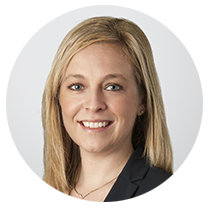 Kristen began her legal career as an associate at Greenberg Traurig, LLP. She earned her J.D. from the University of California, Berkeley (Boalt Hall) School of Law, and her B.A. from the University of South Florida. Sammy Figueroa has long been known as one of the world’s great musicians. The son of the well-known romantic singer Charlie Figueroa, he is a self-taught master percussionist and is known for his versatility and ability to play in many styles. Sammy has recorded and toured with a multitude of artists from Miles Davis and Sonny Rollins to Mariah Carey and David Bowie. When Sammy moved to South Florida in 2001 he found a treasure trove of great musicians from all over the world. Putting together a band with the best players in town he debuted as a leader in 2002 and since then has released three albums, received two Grammy Nominations, toured all over the world and gained thousands of fans. Sammy has always had a special love for children and is looking forward to working closely with Arts for Learning to support childhood development through the arts. Josh Fuller serves as Director for Pensam Funding. He is responsible for originating, underwriting, managing and servicing Pensam Funding’s portfolio. Josh has 13 years of experience in the commercial real estate financing sector. 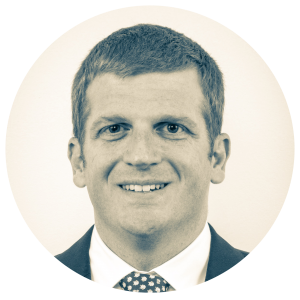 Prior to joining Pensam, Josh served as a Vice President of Asset management and Advisory at Situs, after working in real estate investment banking and commercial real estate lending at Tricon American Homes, L.L.C., Harbour Realty Advisors, Inc., American Real Estate Capital, L.L.C., Brothers Property Corp., Credit Suisse, Inc., and Nomura Credit & Capital, Inc. Josh has extensive experience in credit risk, loan workouts, note purchases, structured finance, preferred equity, mezzanine financing, asset dispositions, real estate acquisitions, asset management, loan origination, underwriting, servicing, asset valuation, construction rehabilitation, design, and development. Josh is from Miami, FL and holds a J.D. / M.B.A. from Stetson University College of Law, as well as a Bachelor of Arts in Justice Degree from The American University. Anthony is a partner of Lubell Rosen, LLC and health care and insurance coverage attorney in the law offices of Ver Ploeg & Lumpkin. He represents health care providers in state and federal courts against commercial insurers, payers, and governmental entities in disputes involving managed care reimbursement, overpayments, audits, and regulatory actions. Anthony holds certifications in information privacy and advises his clients on cyber-insurance coverages, HIPAA regulatory matters, safe data handling, and compliance. Anthony served a term as the Editor-in-Chief of the Inter-American Law Review, and also sat on the Florida Bar Journal’s Editorial Board for a five year term from 2012 to 2017. Anthony received his juris doctorate from the University of Miami School of Law and his undergraduate degree from Rollins College where he won first prize in the College’s juried fine art show in 2005. Daniel Lewis is an internationally-recognized dancer, teacher, choreographer and author, who joined New World School of the Arts (NWSA) in Miami, Florida as founding Dean of Dance in 1987. Here, drawing from nearly three decades of experience in the field, Mr. Lewis created the dance division’s eight-year professional program. In addition to developing and managing NWSA’s dance program, Mr. Lewis has heightened modern dance awareness in South Florida through Miami Dance Futures, a company he formed in 1988. Miami Dance Futures produced the highly successful Miami Balanchine Conference, the Dance History Scholars’ Conference, the National High School Dance Festival and the Modern Dance Sampler. Miami Dance Futures also produces local dance companies, including Houlihan and Dancers and Rosita Segovia’s Ballet Español. Mr. Lewis is perhaps most widely known for his association with the work of Jose Limón, dancing with the company from 1962-74. As a choreographer, Mr. Lewis has been commissioned to create works by the National Endowment for the Arts, the New York State Council on the Arts, Dallas Civic Opera, American Opera Center at Lincoln Center, Amherst College, the University of California at Los Angeles, and The Juilliard School, as well as companies in South America and England. His repertory company, Daniel Lewis Dance, has performed and taught extensively throughout the United States, Europe and Scandinavia. Mr. Lewis graduated from New York’s High School of Performing Arts in 1962 and The Juilliard School in 1967. He has been received numerous national accolades including, but not limited to: The Florida Arts Recognition Award in 2001; Honorary Chairman of “dance4life,” a Lifetime Achievement Award, and the Nancy Smith Award in 2002; a Lifetime Achievement Award from the National Dance Educations Organization in 2010. In 2011, Mr. Lewis received a proclamation from the floor of the Florida State Senate for his works in the arts in Florida by Senator Anitere Flores and he received the Martha Hill Lifetime Achievement Award in New York City. February 5th, 2011 was declared “Daniel Lewis Day” in Miami-Dade County and the City of Miami. Working out of both the Fort Lauderdale and Bay Harbor offices of ONE Sotheby’s Realty, Janine Mills has always had a passion for helping others live the lifestyle of their dreams. As an experienced Interior Designer, she has the ability to see the potential in a space, and develop a program that will meet the client’s requirements. As an Estate Agent, Janine puts this creative ability to work for her clients, using Virtual and traditional Staging methods to help buyers envision and realize the potential of a home. On the business side, Janine has an extensive background in sales and negotiating from her previous career in Marketing for a top Fortune 500 company. She consistently exceeds expectations and is highly regarded by clients and colleagues alike. In addition, Janine has a particular interest in French language and culture, and has studied at the Sorbonne in Paris. She is a graduate of Yale University, and with her degree in Psychology, is skilled at understanding her clients’ needs. Coming from the family of an orthopedic surgeon, Janine understands the needs and pressures of busy professionals and families alike. She is the proud mother of a daughter, Marina, who is currently a college student pursuing a career in medicine at Washington University in St. Louis. Janine is committed to giving back to the community as well, and has worked on projects with Links, Jack and Jill, Healthy Mothers-Healthy Babies, in addition to serving as an Arts for Learning Board Member.